The new year is just around the corner which means that millions of people will be making goals to achieve in the next 365 days. One of the most common resolutions has to do with loosing weight and achieving “the perfect body”. Every year I hear countless amounts of people saying that they will loose the excess weight, they will build their muscles, and they will get the six pack they always wanted, but only a small fraction actually see any results. It is estimated that only 8% of people actually reach their New Years resolutions. Why is it so hard reach these goals? I have a few tips that will hopefully make it a little easier to stay on track. The first thing we need to do is realize that small changes can make a big difference. Although you may have a big weight loss goal in mind, making a small change to your diet and exercise plan can make that once out-of-reach dream more attainable. Switching out a snack food for something healthier, not eating before bed, or even simply adding 20 minutes of cardio a few times of week can start the process of reaching your bigger health goals. Another important idea to adapt when setting a resolution is that instead of just setting a goal, decide on what steps need to be made in order to reach that goal. Making a plan helps you better understand why kind of commitment it is to reach your “dream body.” It is A LOT of work and A LOT of commitment, but that still does not mean that it is unattainable. Once you plan out what needs to be done to loose that extra weight, you need to start applying the changes to your life, but not all at once. Making a lot of drastic changes in a short amount of time literally puts your brain and body into shock, which in turn makes these changes near impossible to adapt. So instead, apply one or two changes at first, and once you have adapted the new changes and turned them more into a habit, you can apply another change or two. The last important thing to understand when making a resolution is that patience is key. 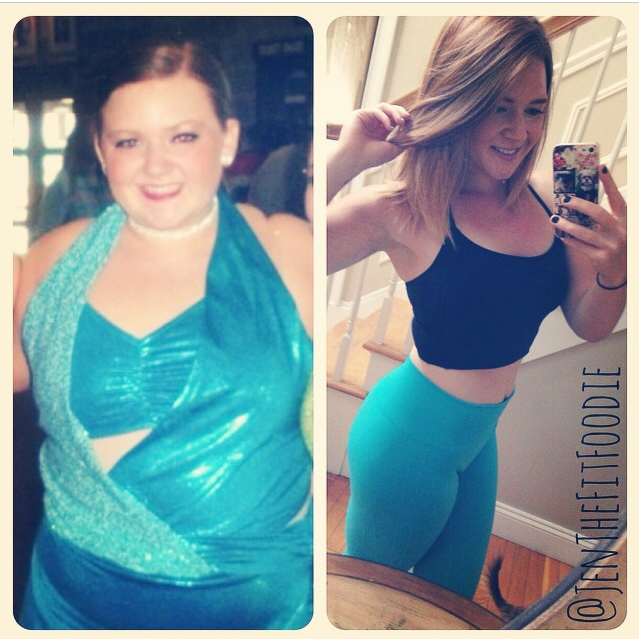 Nothing happens over night, especially when it comes to weight loss or muscle building. There is no quick fix. Living a healthy lifestyle is just that, a LIFESTYLE. You have to adapt new habits to a point where you would rather go exercise than sit on the couch all day; you would rather eat chicken and vegetables than a Big Mac; you would rather go to bed than stay up late and watch movies. To some this may sound weird, but by adapting these habits, I have never felt better in my life. I am happier, I feel healthier, I have more energy, I am more productive, I have better focus, and overall live a more fulfilling life. Think of it this way… If you have a resolution to lose 50 pounds in the new year, that may sound like a big almost impossible obstacle to overcome. 50 pounds?!?!…. That’s a small child! How can you do that? You have 365 days to reach this goal; 12 months to lose 50 pounds. This actually comes out to about 4 pounds every month or 1 pound a week. Now doesn’t that sound a little easier to do? If you set small shorter goals such as “I want to lose 4 pounds in January,” all of a sudden that big intimidating goal now seems way more doable. Know that you are not alone and that we all are still trying to achieve our dream bodies. There are resources everywhere to help you get where you want to be. I know you can do it! I hope this article helps you make next year the best year yet! I will help in any way I can and I would love to hear about your progress. Contact me at corestrengthalec@gmail.com with questions, comments, ideas for new topics, or updates on your personal fitness successes. Fordham University class of 2014. Graduated with a degree in Finance. I played Division I Men’s soccer. Have to give a shout out to Rick Day. He is the one that got my name and look out. If it wasn’t for him, I may not have had much success at all. I am also a big fan of Richard Phibbs. 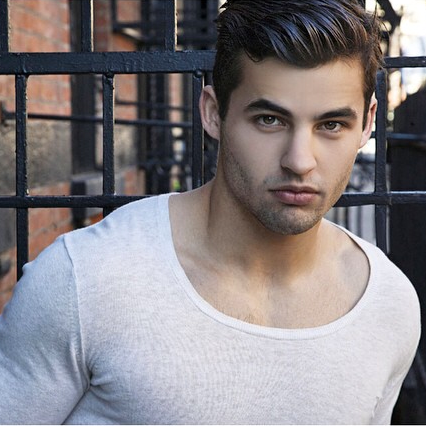 His work is brilliant and shoots some awesome campaigns, celebrities, and professional athletes. Also, need to give a shout to Sonny Tong. He is a young photographer from LA, and I think he has a bright future. Started to work out my junior year of high school. I shoot for 5-6 days a week. My fitness goals are usually to stay lean all year with some respectable muscle mass – 5-7% body fat. It also motivating to see your strength levels increase. 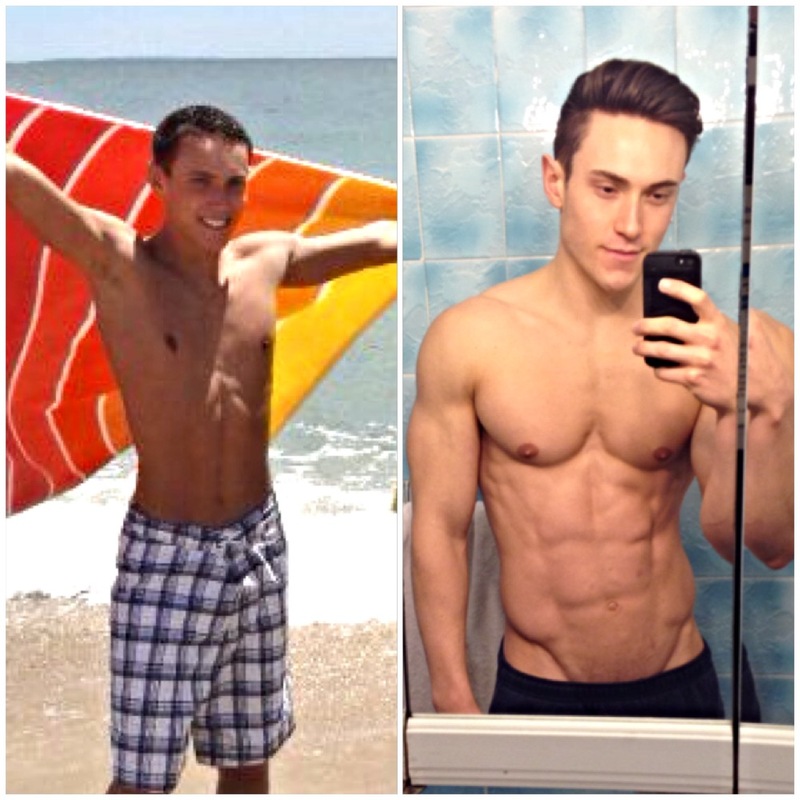 Other fitness goals are to inspire people all over the world in fitness, health, and nutrition. In terms in the fitness industry, I really look up to entrepreneurs John Romaniello and Tim Ferriss. While they are not models, they are fitness professionals – authors, trainers, investors, etc (both make over 7 fig a year). Tim Ferriss has an awesome book out – The Four Hour Body that has had some huge commercial success. 1st Phorm supplements. I love a good pre-workout to get me going. Pre-workouts with creatine are great because they kill two birds with one stone. And protein is huge. High protein with healthy fats and carbs. Lots of protein (chicken, fish, eggs) and greens. I like to do everything. Play sports, bike, sprints, and lift. I also recommend doing a bodybuilding type split to increase muscle. M- Chest/tris T-Back/Bis W- Legs T- Shoulders F- Arms S- and finishing each workout with abs 3-4x a week. Stay patient. Your body won’t change overnight. Stay focused – nutrition is huge and you need to really pay attention to what you are putting in your body, not only for physical changes but for mental and psychological effects as well. Lift hard, heavy, and often to really lose body fat and increase lean muscle mass. GET IN PROTEIN. 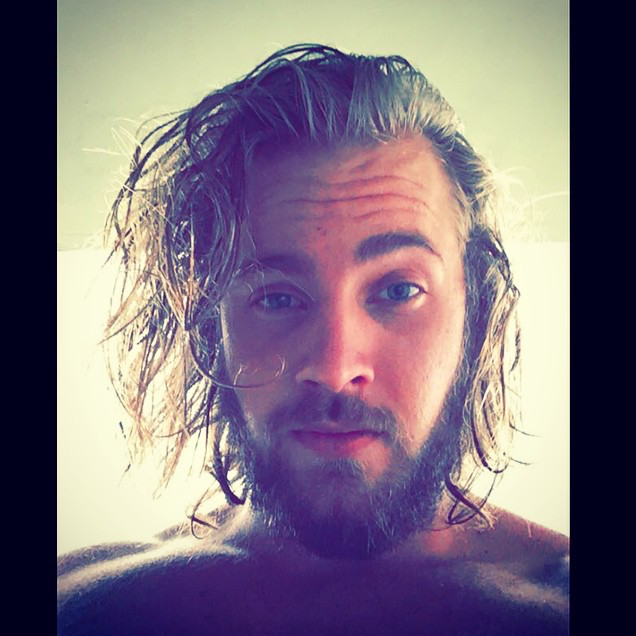 I share content based on fitness, nutrition, success, and life. I have a huge digital magazine launching in November. Did you like this week’s Feature Friday, Mike Stalker? Would you or someone you know liked to be featured? Contact me at corestrengthalec@gmail.com for questions, comments, or ideas for other topics. Are you signed to any agencies or do you do promotions for any companies? I started working out freshman year of high school when I was 14 years old. I usually work out 6 days a week. Chest, its boring to me. I started competing when I was 19 years old, while being active in the military. I don’t have a coach to help me prepare. 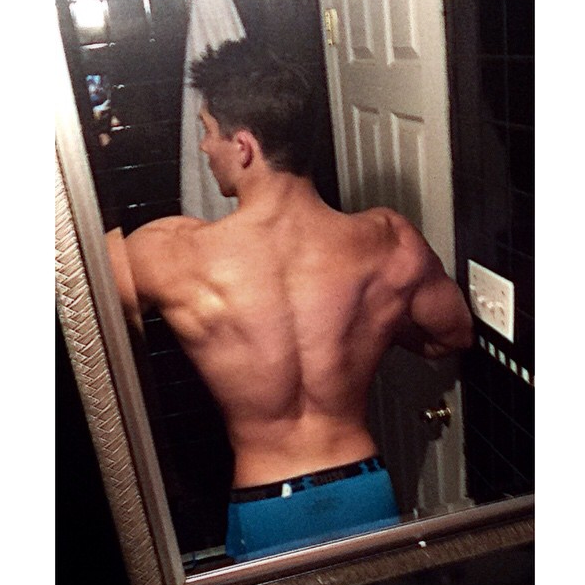 There is a pro show in November, but my ultimate goal is to be one day competing at Mr. Olympia. I have two. Gregg Plitt is someone who I have looked up to for a while now. My other inspiration is also my best friend, owner, and mentor. He is the president RevLabs, Joshua Nussbaum. 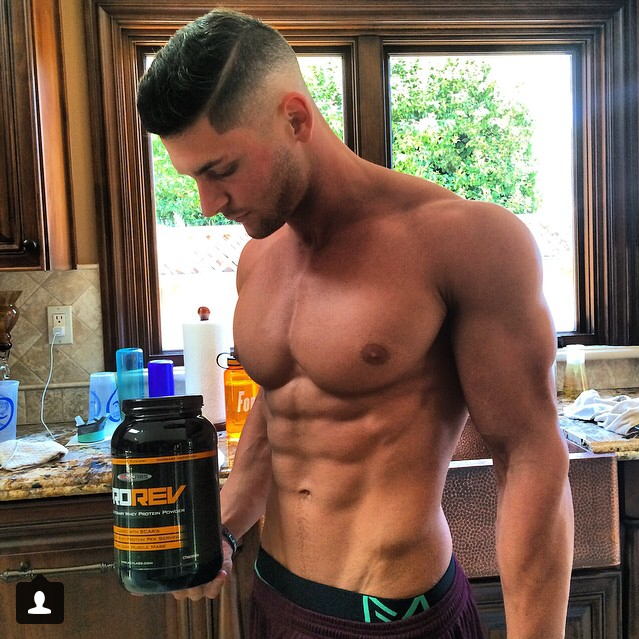 For my pre workout I take RevLabs Endorev. It’s like crack, and I need a tough pre workout. 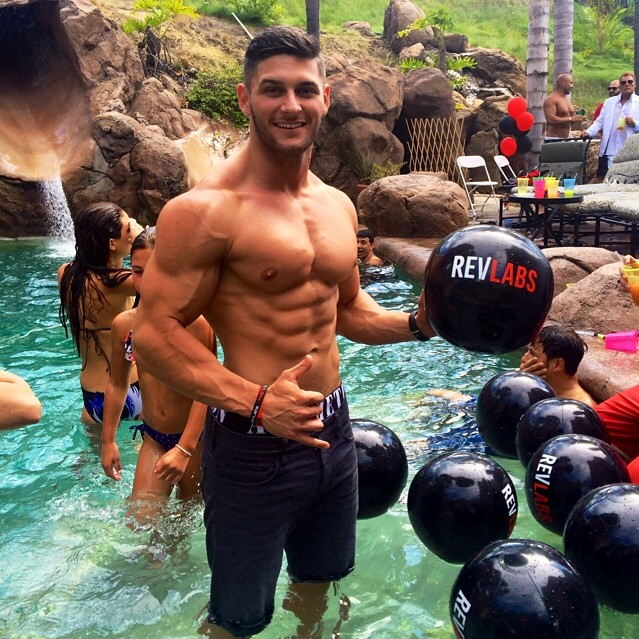 For my protein shakes, I use RevLabs protein and testosterone booster. It makes me feel great and brings my workouts and results to the next level. I also take any BCAAs or glutamine. I try to eat 6 meals a day, spaced 3 hours apart. I also have 2 shakes a day. I believe in super setting and drop setting everything I do. It takes time… be patient. Consistency is key. I love people and helping, so feel free to hit me up for anything. Did you like this week’s Feature Friday, Jerdani Kraja? Would you or someone you know like to be featured? Contact me at corestrengthalec@gmail.com for questions, comments, or ideas for other topics. Weight: I choose not to share my weight on any of my social media platforms. I’m a big advocate of self love and not letting the scale determine your worth. 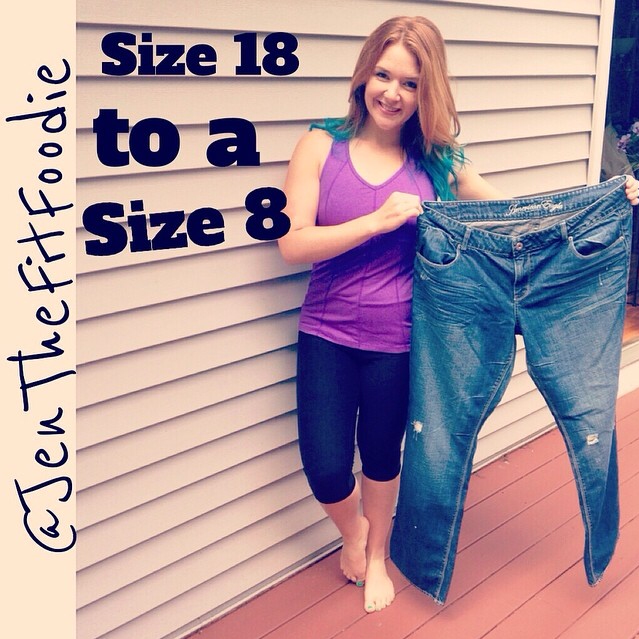 I want to inspire people, young girls especially, to focus on the healthy, not the skinny. I started working out in 2009, right after I graduated high school. That’s when I decided to make a lifestyle change and start living healthier. I workout 6 days a week. I have 1 active rest day where I typically practice yoga or go for a hike. My workouts range from 45-60 minutes. I love to exercise my arms! I’m actually really proud of them. When I was at my heaviest weight I absolutely hated my arms. I would never wear anything that was sleeveless or showed anything more than my forearm. 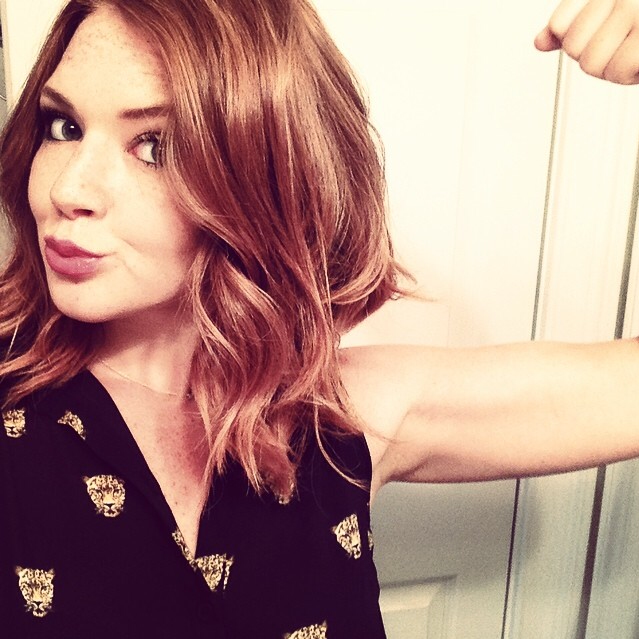 Now my arms are my favorite body part! They have definition to them now and I definitely have a lot more upper body strength. I do various arm exercises utilizing light weights and high repetitions. Two words. Leg Day. haha. I’d say its a love/hate relationship. I would like to lose more body fat and continue to improve my strength while building lean muscle. I absolutely love Daniel and Kelly who run FitnessBlender.com. They provide free at home workouts for every fitness level. They advocate clean eating and exercise. They do not use supplements or endorse any products, which I think is awesome. 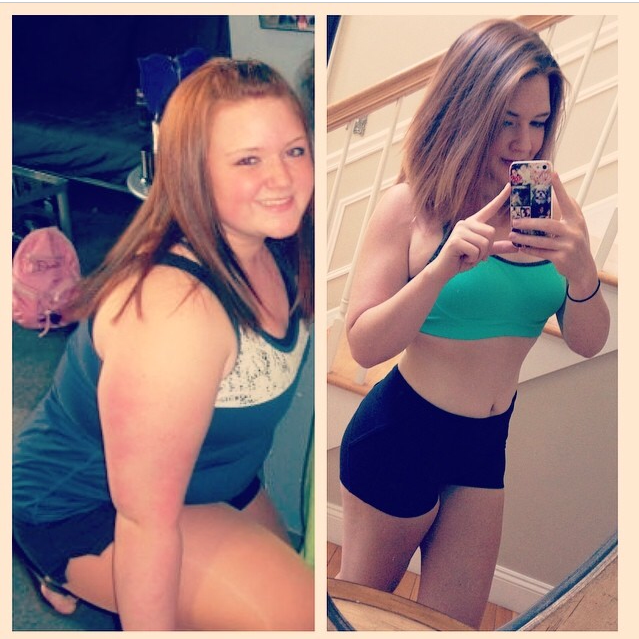 Their main goal is to show you that all you need to change your body is a clean diet and exercise. I also really admire Karena and Katrina who run ToneItUp.com. They upload free workouts to their youtube channel and post weekly workout schedules for you to follow. They also offer a nutrition plan! 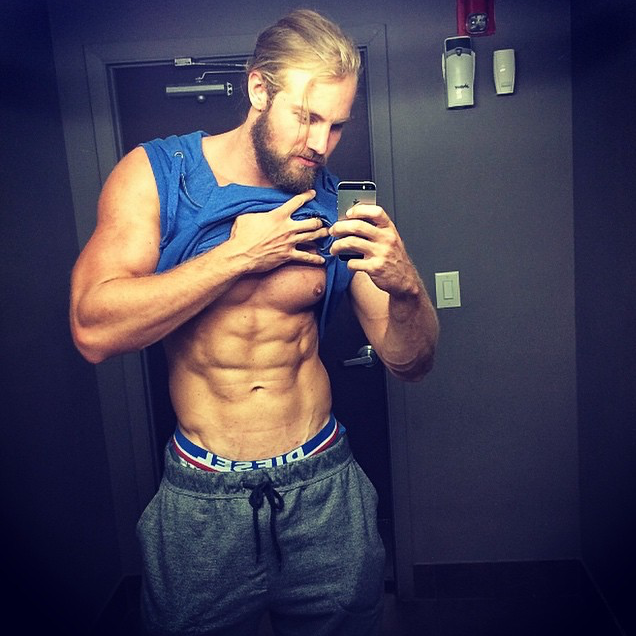 I have actually been following celebrity trainer, Chris Powell’s, carb cycling plan. I eat 5 meals a day and alternate between low and high carb days. I typically stick to lean meats, tons of fresh veggies, and healthy fats. I do my best to choose things that are minimally processed. I have one treat meal a week… and it’s always Mexican food! My absolute favorite! I have lost 70 pounds. It took me a little bit over a year to lose the weight. Since I lost the initial 70 pounds I have just been working on building lean muscle and dropping more fat. Although both play a huge part in living a healthy lifestyle, I would say diet played a bigger role. I’m a firm believer that you can’t out exercise a bad diet. I’m actually proof of that. I was a competitive dancer growing up. It was a great form of exercise. However, I had a poor diet and large calorie intake so I was always overweight. I wish I knew more about “clean eating”. When I first started losing weight I did it by counting calories. It would have been a lot easier for me to just cut out the processed garbage and focus on eating nutritious foods! When Im not feeling motivated I look at old pictures of myself. By doing so I can really see how much I have changed. I realize how much I enjoy living a healthy lifestyle. I love feeling healthy, strong, and confident; I want to keep it that way! As I already mentioned, Mexican food! I love fajitas and beef burritos. And churros. I really love churros. 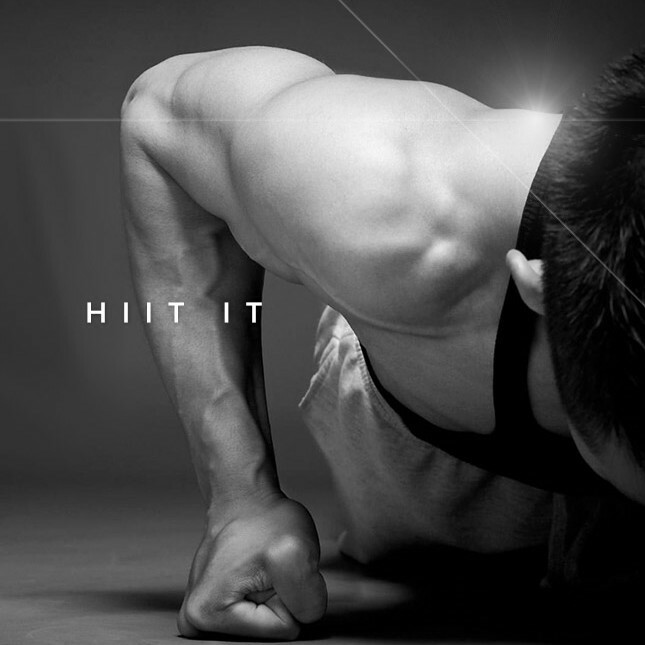 I always love HIIT workouts (High Intensity Interval Training). They are quick, effective, and perfect when you’re short on time. My tip would be to stay consistent. Make small changes over time and stay consistent with them. Integrate them into your lifestyle. Don’t change your diet so drastically or you’ll never stick to it. I have lost 70 pounds without a gym! You don’t need fancy equipment or a gym membership to get fit. 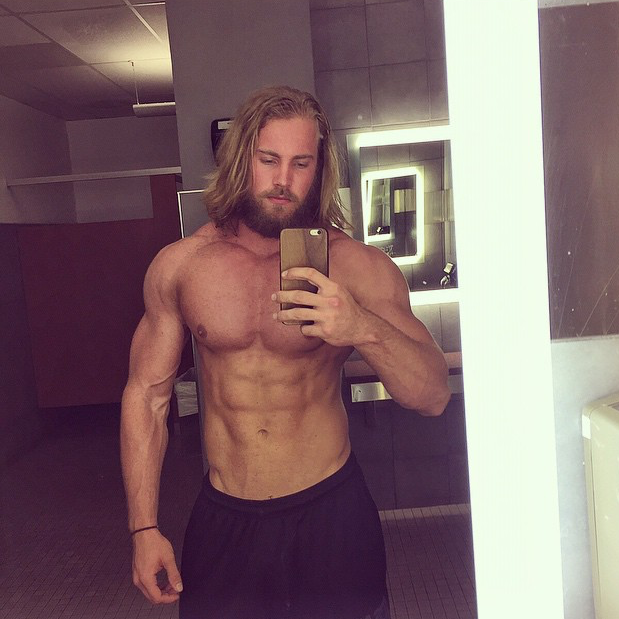 There are so many great platforms to obtain free workout plans. Utilize whats already out there and invest in some free weights! 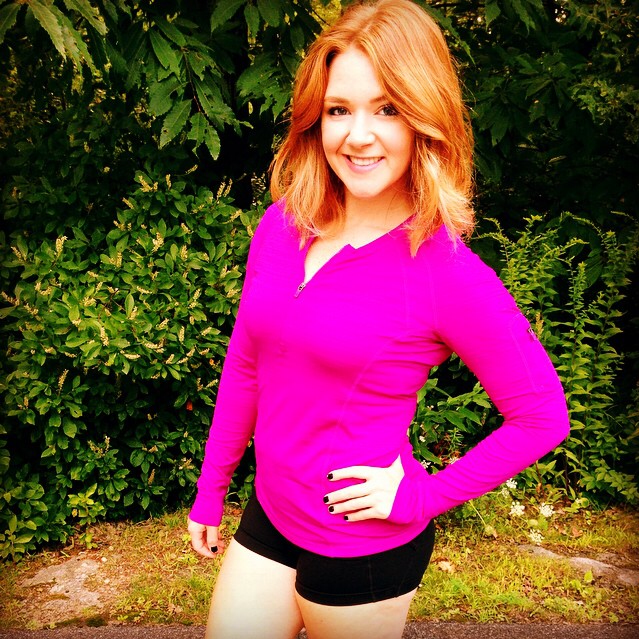 Did you like this week’s Feature Friday, Jen Piccolo? Would you or someone you know liked to be featured? Contact me at corestrengthalec@gmail.com for questions, comments, or ideas for other topics.